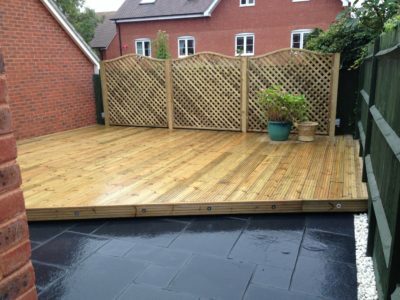 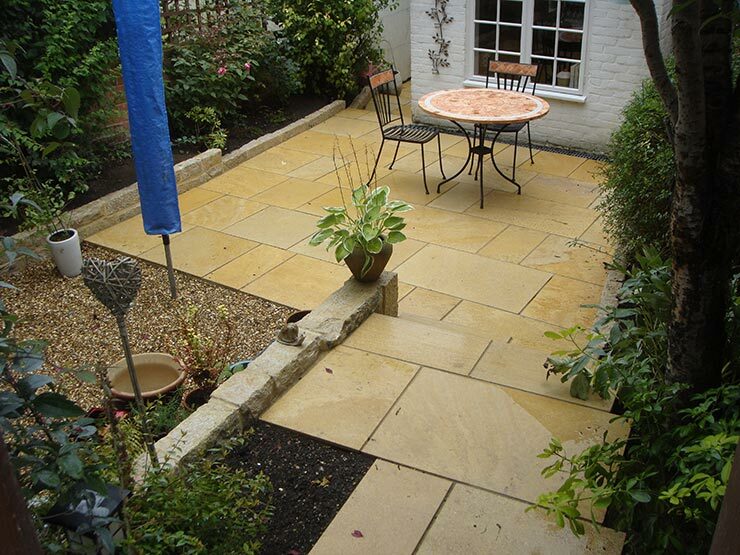 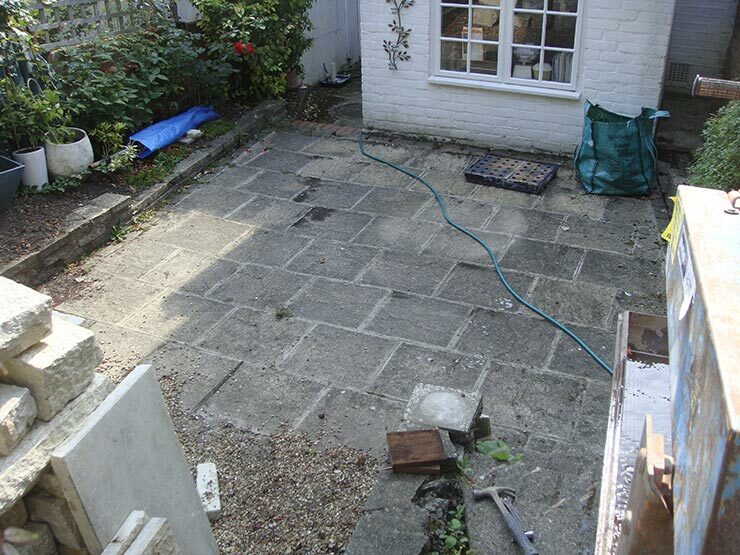 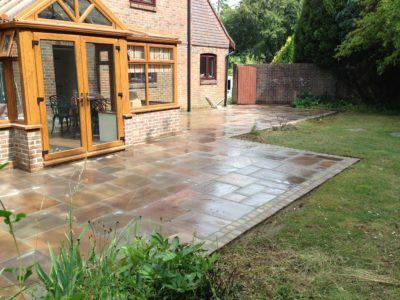 This patio made a huge impact on this garden, really brightening it up. 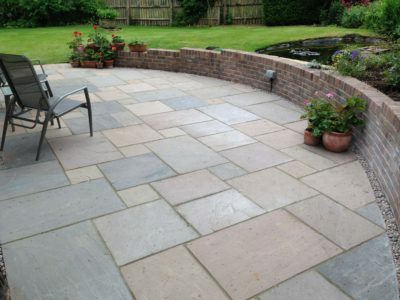 The slabs are sawn sandstone, this is a bit more expensive than the standard sandstone but it really does look amazing. 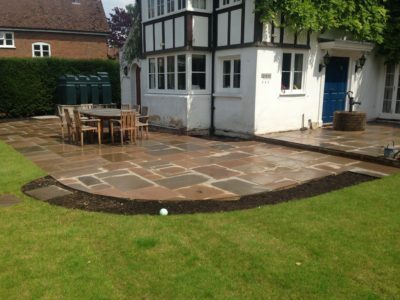 On this project we had to create some beds using Purbeck stone. 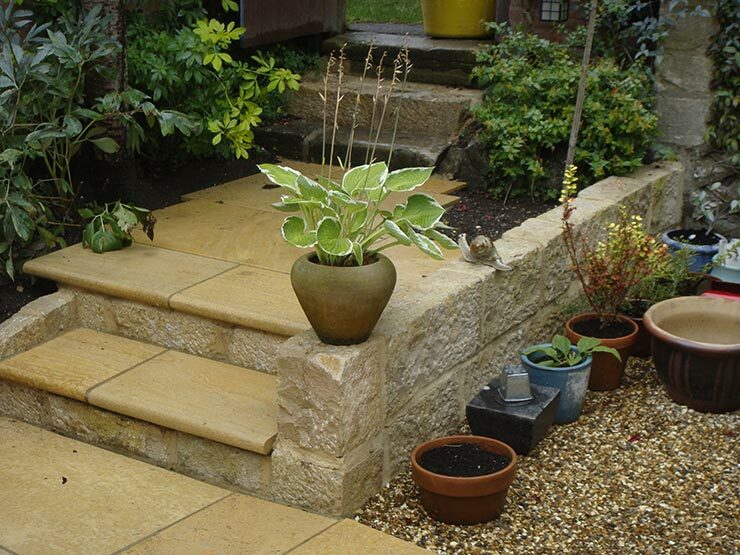 The customer sourced the Purbeck stone and we had to cut it all to size, it was hard work but well worth it.